Hey! When I sit down to blog I ask myself, “What am I passionate about right now?” and today the first thing that came to mind was “ahhh those make-up brushes!” then I tried to tell myself that was silly and that I just did a make-up post and that I really should find something else to post about. But here I am, pumped to share with you the tools that have, oddly enough, brought me a lot of joy lately. The following are affiliate links to Amazon, but you can also find some of these at Rite-Aid or Walgreens. The above picture is one I posted to Instagram to show the products I used to create an everyday bright-eyed look. that I loved, but I wanted to save some money so I bought the e.l.f. brand. Big mistake. They are rough and shed a ton. I use maybe 3 of the 15 brushes (and hope to replace them soon) and basically wasted my money. For Christmas, I asked for all the ingredients to begin to make my own natural cosmetics, so I threw in a request for new make-up brushes as well. I evaluated my make-up needs (we’ve talked about that before) and chose brush sets that would work together to meet those. The EcoTools Retractable Foundation Brush (Pack of 2) . The shape is perfect for all-over coverage (even around the eyes) and I love that it retracts; I can throw it in my make-up bag and it won’t make a mess! The foundation pictured is my first attempt at making my own– I think I made it a little too red and the oil (almond) I used is slightly greasy, so I’m still working on the recipe. 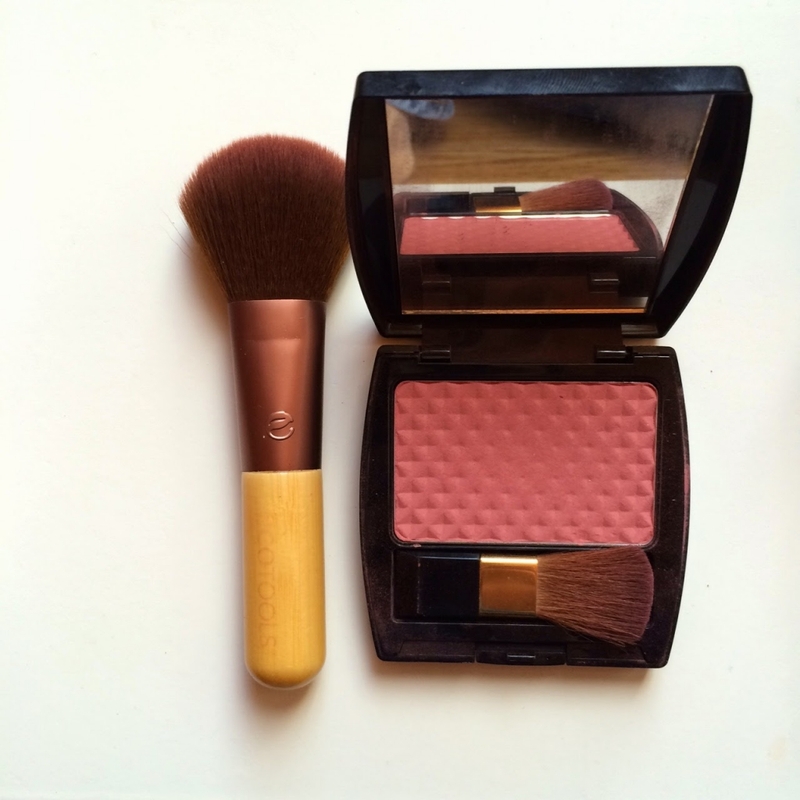 For blush, I’ve been using the mineral powder brush from the EcoTools MINERAL 5pc Make Up Brush Travel Set . Also in that travel set are two smaller brushes that I use for eyeshadow, choosing the shape depending on the look I’m going for. The last brush set I have is the EcoTools BAMBOO 6-pc Starter Makeup Brush Set . 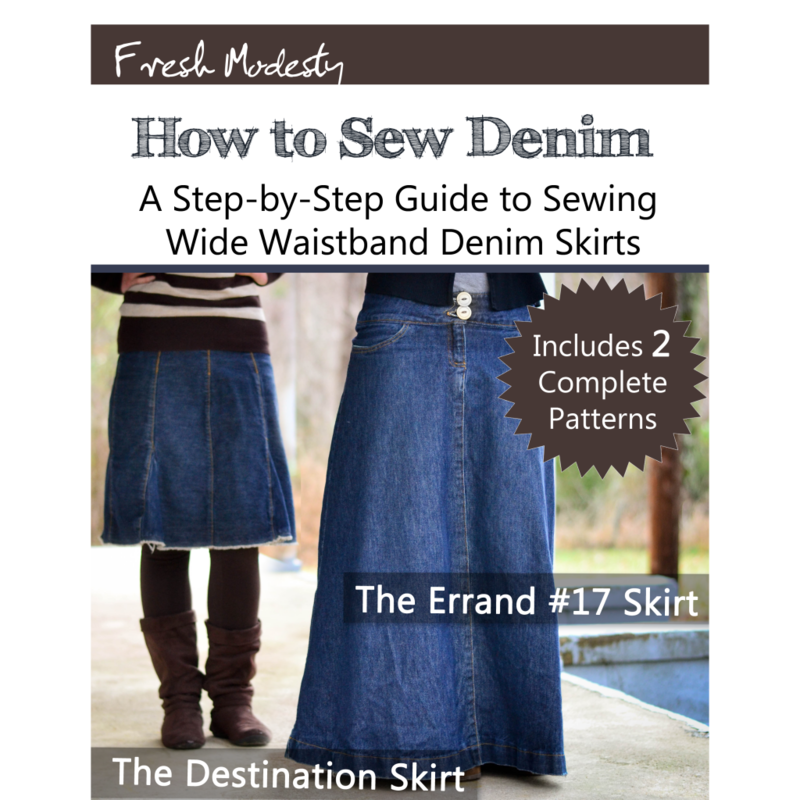 The approximate total for these is $30.28… a perfect high-quality, simple investment. 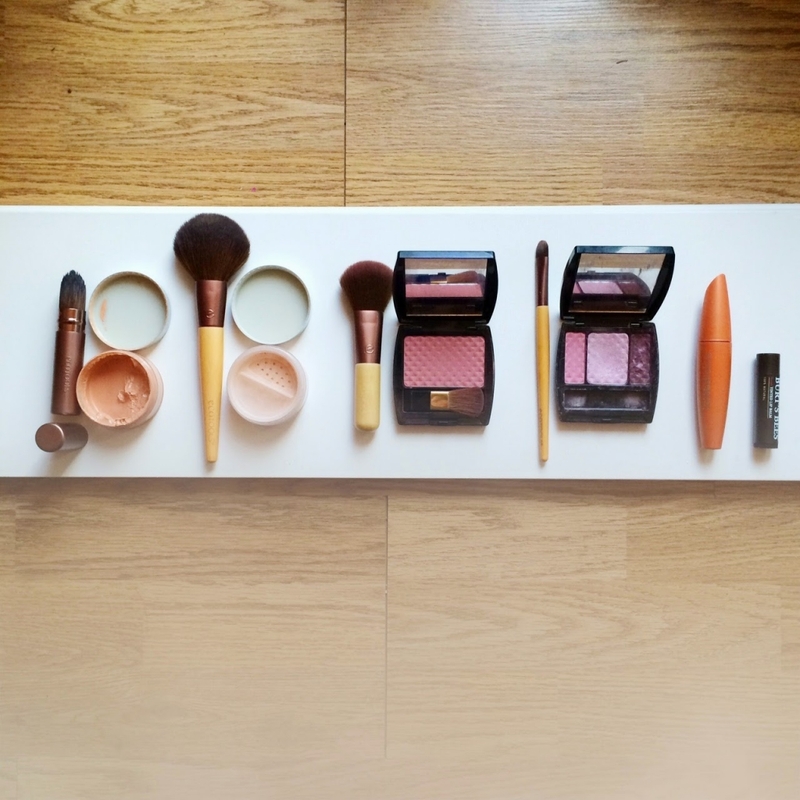 No need for 15 different brushes to take up space in your make-up bag. 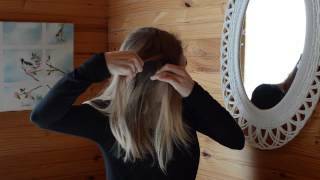 There you have it– my rant about soft bamboo brushes. 😀 I hope this post was helpful to you whether you’re looking for a new brand or just trying to know what types of brushes you may need for the more natural make-up looks. Do you have a favorite brush brand? What is your most-used brush shape? ← Announcing | Modest Fashion Guild Conference! This is such a useful post Olivia! I'm new to makeup and really only wear it on special occasions, but I have been very curious about brushes and such as I've been using my fingers. (which probably isn't the greatest idea) Thanks for the recommendations here! I have a couple of the EcoTools brush kits (the travel eye one and 6-piece set) and I love them. I agree, they're a really good quality for a reasonable price. You can't beat that! If you are looking into buying anymore makeup brushes you should really look into the Real Techniques brushes my best friend and I both love them! I'm eighteen and finally feeling brave enough to experiment more with make-up – so psyched about your posts! Looking forward to the recipes! Quality brushes really do make all the difference in how your makeup looks. I made the mistake of using cheap, rough brushes for years and never realized that good brushes truly are worth every penny! I like the "It" foundation brush from Ulta and there's a fantastic brush for powder/blush from Crown Cosmetics. A lady at a beauty counter highly recommended that I look at the Crown brushes, even though she was selling MAC products, which are a lot pricier. I'm glad I did! 🙂 I've found my drugstore makeup looks far put-together and natural when I use proper brushes…and I end up having to use less product, which helps justify the upfront cost of the brushes themselves. 🙂 Thanks for the great posts, Olivia! Keep them coming. I absolutely love the Real Technique brushes! They feel very high quality and are incredibly soft! 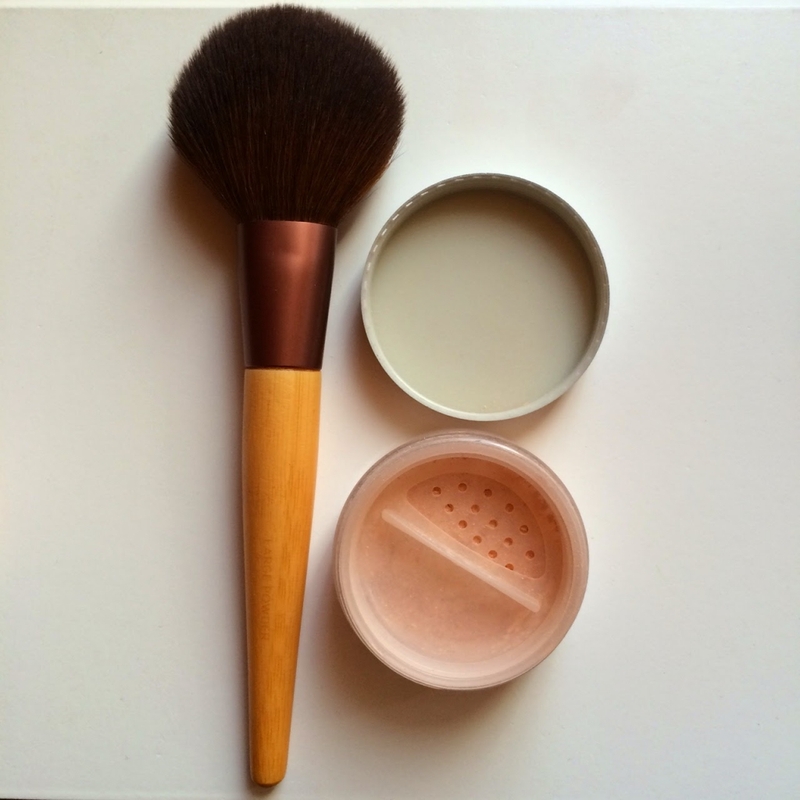 I have used some of the brushes you have, but I prefer my Mary Kay set to EcoTools. It originally had 6 brushes and I got the old style when they were on clearance for $25. I added another foundation brush later, too. You probably already know this, but makeup brushes should be cleaned regularly. It is good to lengthen their life, but also to remove any contaminants that could cause infection. I use a little coconut oil to remove liquid makeup and then water and Dr. Bronner's soap to wash them. I once bought and e.l.f. brush, slightly because it was two dollars, and half because a lot of women use them, supposedly pleased with the price and quality. Never again. Whenever I use it, it makes me so itchy, and just like you pointed out, they constantly shed! It was a horrible purchase, but I've been at a loss to find a different, good brand just because there are SO many, and people love all of them. I think I will invest in a few of these beauties! Thank you very much, Olivia! My mamau bought me a lovely set of make-up brushes (10) several Christmases ago with a beautiful purple case from Kirklands. I only had like little tiny brushes before that. I would like to buy the travel sized Eco Tools though. Could you please, please do posts on homemade make-up. I am using Cowgirl Dirt (which I think I first heard of from your blog) cream make-up and concealer, eyeliner, and mascara and Alima Pure powder mostly lately, but I would like to know how to make my own make-up. I would also like to know how!! I absolutely adore Eco tools! Bought some EcoTools brushes two months ago and haven't stopped loving them since. They are sooo soft and full, and totally worth every penny! Thanks for posting this! I do hope you will be posting make-up recipes in the future! I can sure use them! Thanks for your encouraging blog! I love to read it! Thanks Belle! I'll give it a try! I do hope you'll share your recipes once you perfect them! I would love that. I too just recently bought the EcoTools 5 piece travel set, and LOVE it so far. So soft! Good post! I have some of the eco tools, but not sure if it's the same ones or not. 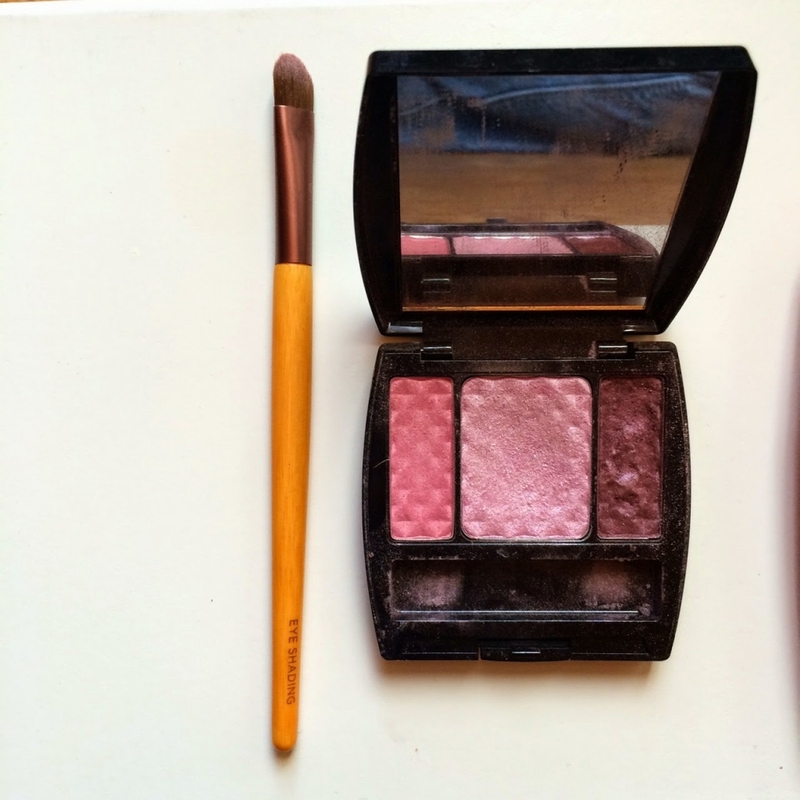 I know almost nothing about the care of brushes…like how often and how to wash, do you need different brushes for different colors or palettes of eyeshadow and blush? If you feel like doing a post on all of that, would be awesome! The eco tools brushes are my absolute favourite too!!! I have been interested in making my own cosmetics for a while, so I can't wait to hear about your journey!! I have the Eco tools big powder brush, foundation brush and eyeshadow brush and I agree they're so soft and nice to use. 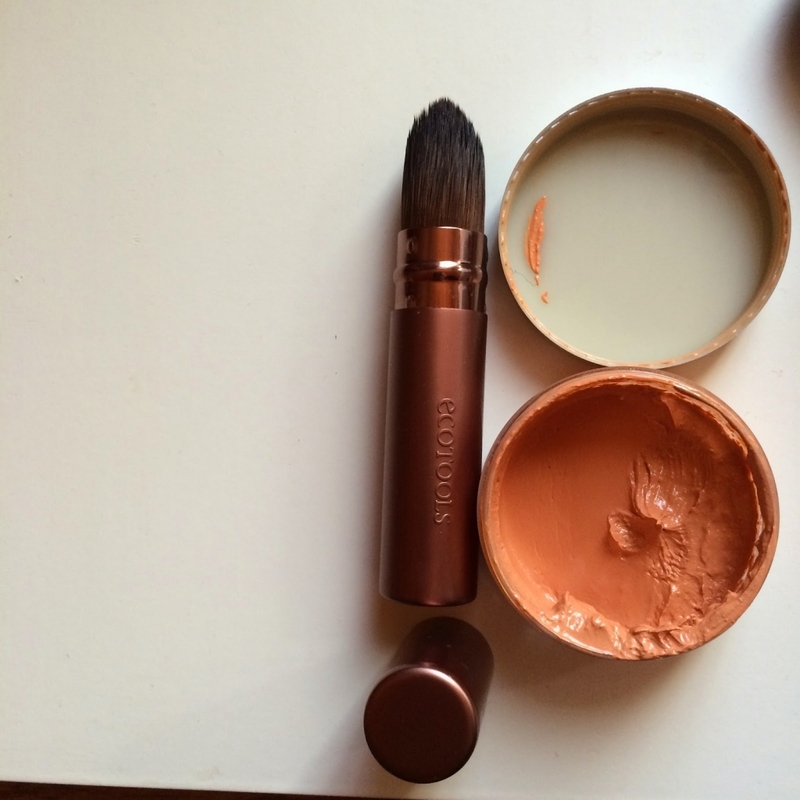 I tried a cheap foundation brush a few times and it was so stiff and scratchy! I love Ecotools too, they are so soft!